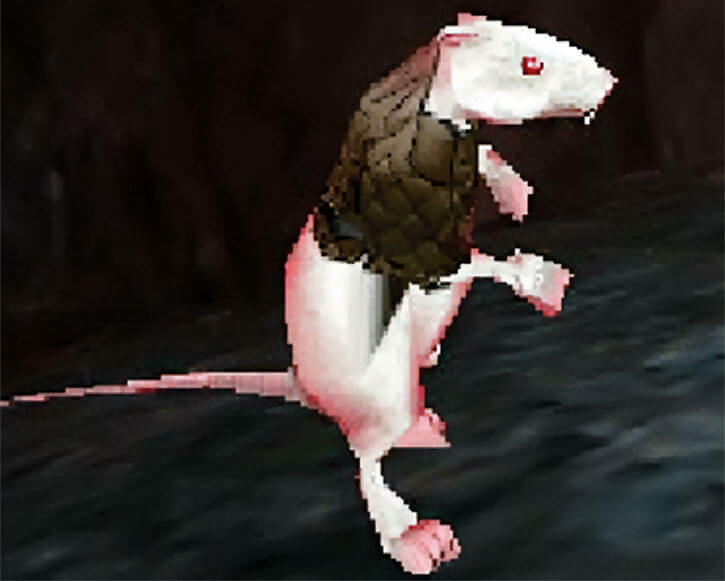 The Chetari species is a minor part of the landmark Everquest Massively Multiplayer Online RPG. They appeared in the expansion opening the small continent of Velious, in 2000. If you’re not familiar with the game, you should first read our Gitane character profile, which has a bunch of context. 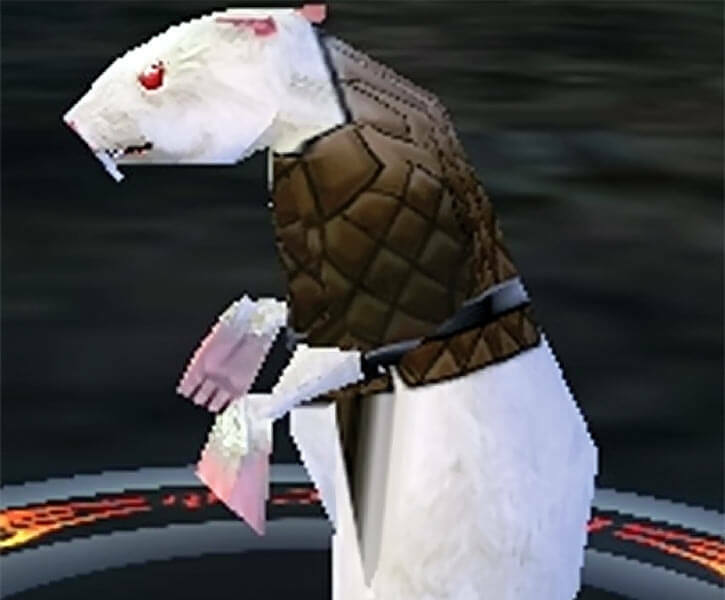 See the FAQ about video games on WORG for our notes about adapting MMORPG creatures and scale. Base Of Operations: The Chetari parts of the Dragon Necropolis. Height: About 5’ tall Weight: Presumably less than a hundred pounds. During the first Everquest game, the Chetari tribe is almost solely found in a very specific location, the Dragon Necropolis. The Necropolis lies on the frozen continent of Velious, whose rediscovery was one of the major events during the era between the Age of War and the Age of Cataclysms. The Necropolis is situated in the Western Wastes. Even with the help of teleportation magic, reaching the Western Wastes is a long, arduous and complicated trip for the inexperienced. In particular, it involves dashing through the deadly maze that is Sirens’ Grotto , and avoiding some powerful and territorial wurms in the Wastes themselves. Draconic legends describe how their deity, the cosmic dragon Veeshan, flew through space after the birth of the universe. She would mark planets to her liking with her claws, then lay some eggs. As it turns out, the Western Wastes are marked by three long ravines. Though for the ground-bound explorer these look like ordinary geological features, seen from the air (or using a map) they clearly look like a colossal draconic claws mark extending for miles. Since the Wastes are probably where Veeshan claimed Norrath for her children, it is sacred to wurms, dragons and the like. The area features monuments and installations built by the dragonic religious organisation called the Claws of Veeshan. Among these is the Dragon Necropolis, located at the base of one of the claw marks. As can be imagined, this is the traditional place of burial for dragons. Many of those slain during the clash with Kerafyrm the Sleeper now rest here. One of the most famous dead dragons, Jaled’dar , haunts the place. The ghost of the former leader of the Ring of Scales still bitterly ruminates over the ancient events that led to his death, and over the role of Trakanon, the Poison Dragon. The Necropolis holds but one living dragon, Zlandicar the Cannibal. Zlandicar conducted depraved experiments with necromancy. He eventually justified these by the necessity of defeating Kerafyrm. His foul deeds included consuming the flesh of dead dragons to augment his own power, a key reason for his exile. As best as can be determined the hounded Zlandicar found refuge in the Necropolis with which he was familiar. Other dragons did not dare chase him inside for fear of sacrilege. Though Chetari are small compared to humans, their diet infuses them with draconic power. Thus, their strength and durability are way out of proportion with their size. They are also known for their sharp senses and their intense fighting rages. Reputedly, the ratmen of the Dragon Necropolis cannot die of old age. Many of them are superlative weaponsmiths, and most Chetari warriors wield blades made of velium. A single Chetari fighter could probably disperse any low-tech human military platoon. Chetari seem to also be charged with necromantic energies. One suspects that they were taught by Zlandicar to consume dragon flesh in a special, ritualised way to make that possible. It is also possible that the tribe was necromantically reinforced by Zlandicar. The clearest indicator of this necromantic slant is a technique some Chetari fighters use to destroy the life energy of their target. It is not unlike the Harm Touch of Shadow Knights. This ability can be particularly deadly as part of an ambush, where the Chetari attackers coordinate multiple such attacks against the most dangerous-looking person. Some Chetari are even more powerful. For instance “dustshapers” and “deathbinders” are spell-casters who are tasked by the military leaders (the “dominators”) with interacting with Zlandicar. Chetari are technologically primitive except for their weaponsmithing prowess. Their raw power and Zlandicar-taught magics suffice for their needs. Chetari are widely thought to be descended from ordinary white rats living in the Western Wastes. As far as one can piece events together, this vermin found its destiny with the coming of the black dragon Zlandicar to the Dragon Necropolis. After Zlandicar found refuge there, it would seem that he lifted some of the wards. These had previously prevented vermin from touching the draconic corpses. As the Cannibal presumably had planned, this diet slowly infused the rats with power. It made them grow much larger, way smarter, immensely stronger – and, reputedly, immortal. They eventually became a humanoid race possessing great strength. Two tribes are known to exist. The Pæbala ratmen, who tolerate outsiders, and the xenophobic Chetari, who serve Zlandicar and will destroy anyone else. The history between the Necropolis’ two tribes of rat people is undocumented, but it involves a lot of fighting. Chetari are, at best, a side note in the history of Norrath. But they are known to have fought bitterly and quite successfully against those expeditions launched into the Dragon Necropolis. Apparently, Zlandicar intended the Chetari to take care of anything less than a draconic strike force, leaving him free to pursue his work without disruptions. There are also rumours of Chetari teams having been sent out by Zlandicar for obscure — but presumably unpleasant — purposes. Chetari are sometimes thought to be the ancestor of the secretive Ratonga race. The Ratonga were encountered decades after the discovery of Velious. Whilst Ratonga claim this is true, it is unlikely that this theory is correct. But there might be a connection with the Pæbala people. The vast majority have white fur, red eyes and are about 5’ tall. They tend to dress in cobbled-together leather armour, but their craft with armours lagged far behind their craft with weapons. Thus, this armour is too ragged and slap-dash to be really useful. Chetari appear to be aggressive, violent and xenophobic. They might actually worship Zlandicar the Cannibal. 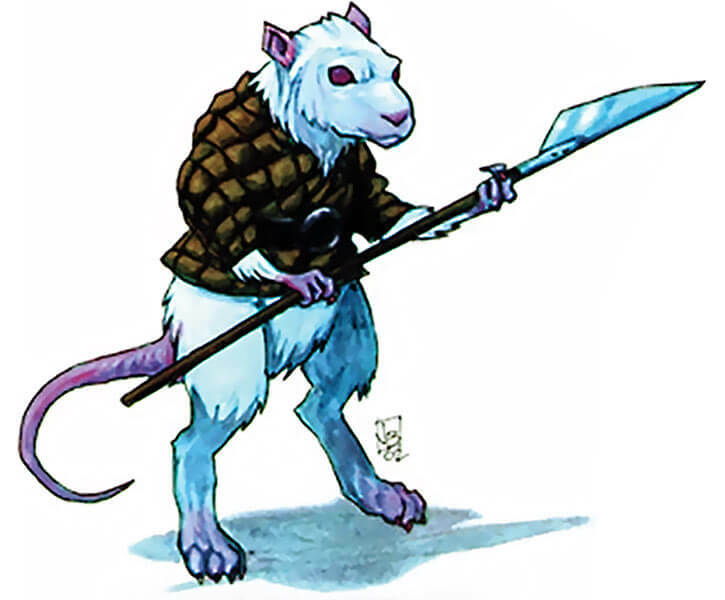 Powerful, vaguely necromantic ratmen are a concept that can always work. And they could easily be recast in a different environment than Norrath. Alternatively, Zandicar might send a crew through space and time to recover some sort of artefact or energy source of interest for his work. Such as a Black Lantern ring, or in the Marvel Universe an artefact tied to the Bête Noire or the Goblin Force. Invulnerability takes several hours to work. Shrink is Always On, Already Factored In and Form Function. Cell rot has a Range of 0 rather than Touch. Cell rot is Minor Marginal. Language (Chetari), Near-Immortal, Sharp Eye. Varies, normally within their tribe. Various melee weapons (for instance a Glaive [BODY 09, EV 04 (07 w/STR), Sharpness (EV): 01]). These weapons usually are forged from the supernaturally durable metal velium, explaining their high BODY and their Sharpness. 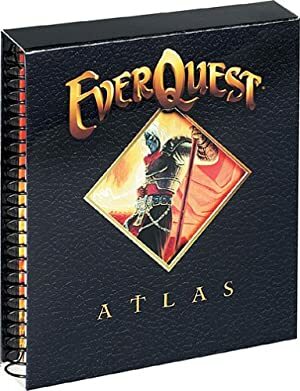 Helper(s): The pen-and-paper Everquest RPG, Darci. Writeup completed on the 9th of October, 2010.